Over that time, comics has—well, the landscape has changed! 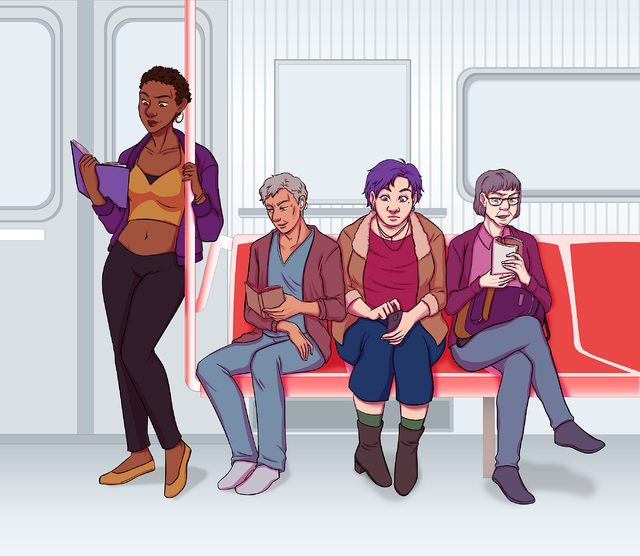 In indie comics, Kickstarter has gone from being an exciting new thing to a simple, wonderful fact of life, and the discussion around queer narratives has grown from cries for something, anything, written by us and not the worst, to a robust, many-sided conversation about what stories we need and why we need them. And mainstream comics… well, they’re happening. We’ll maybe just… let them happen over there. My own narrative with queer comics has echoed that growth. In 2015, when we launched Dates, my co-editor Cat Parra and I were deep in a historical drama hole (a hole, by the by, that we have not climbed out of—we’ve furnished it, and it’s quite cozy now). We were exhausted by the fact that in these stories, queer characters either never existed or were simply vehicles for abuse and, inevitably, death. There are elements of historical accuracy to this absence, since most western historical media takes place in settings where it was literally illegal to engage in many of the behaviors we associate with queerness now, but not feeling seen in these stories also sucked. And the elements of accuracy were just elements, never the whole story: queer people have always existed, we just… had to get creative, sometimes. Into that gap sprang Dates 1, with Dates 2 following a year and a half after. Our guiding principle for those volumes were that the stories had to be happy: queer people, living their lives, and finding joy in their specific time and place in history. 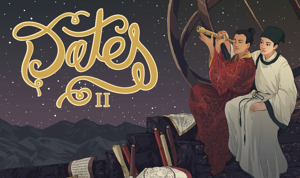 Over the two and a half years it took to get Dates 1 and 2 out into the world, we also got legions of other powerful, affirmative stories about a vast breadth of queer experience: Joamette Gil’s launched Power and Magic Press, which spotlights queer folks of color in stories of magic and myth; The Beyond Anthology won a Lambda and a pile of other awards; 1001 Knights, Sweaty Palms, The Sun and the Wayward Wind, and Tabula Idem all got their starts. We hit a sort of critical mass: I don’t just see “queer comics” and know that I need that book anymore, because there are enough out there and accessible that I have choice! The queer comic for you doesn’t have to be the queer comic for me, because there are just so many of them. And that’s fantastic. Today, as I write this, there are two queer witchy comics on Kickstarter at the same time (The Witching Hours and Eternal Witchcraft). One is witchy stories created entirely by creators in Western Canada; the other is a comic spellbook. Dates has adjusted it’s focus, just a tad—we still want stories about happy, historical queer people, but we have two full volumes of generalist stories, so Volume 3 is about queer folks going on adventures. Strange Waters, an anthology that leans on the metaphorical and cultural significance of water just launched, and Planetside, an anthology about slice-of-life science fiction stories, is launching in just a few days. Happy, romantic, queer comics are still vitally important. But now, we’ve carved out space to add complexity and nuance to those stories, and I couldn’t be more excited to see where we go next. If you're interested in more about this project, check it out on Kickstarter. Want some art and story samples? 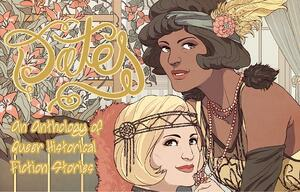 Margins Comics has been tweeting about a creator each day and the samples are fantastic! We can't wait to read these adventures. Every day for the rest of the Kickstarter (https://t.co/GGloCUTG8r) we’re going to feature at least one creator or team and show off a small sample of the incredible work they did for DATES 3.